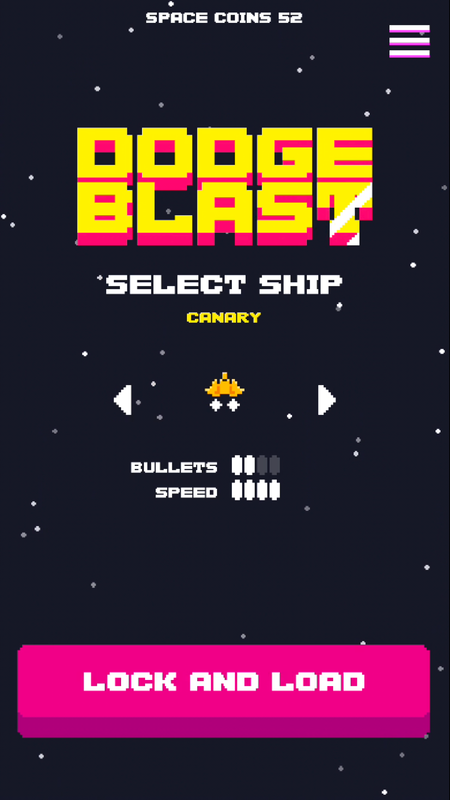 Dodge Blast is a classic arcade space shooter with two button controls. 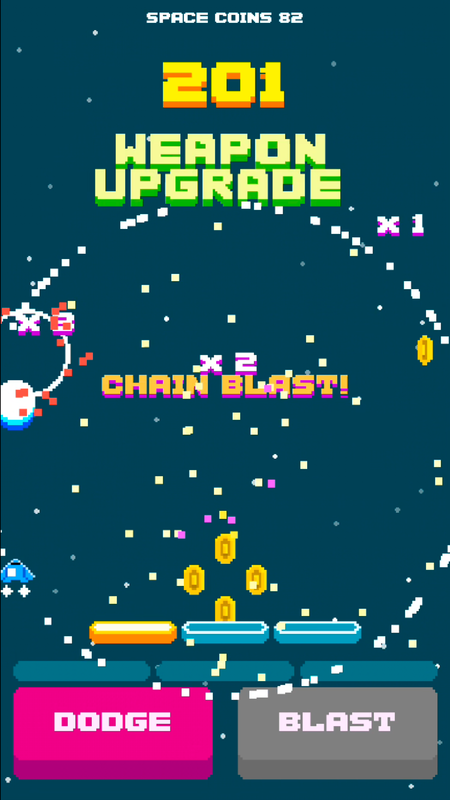 Build up your high score with combos and by blasting enemy formations. 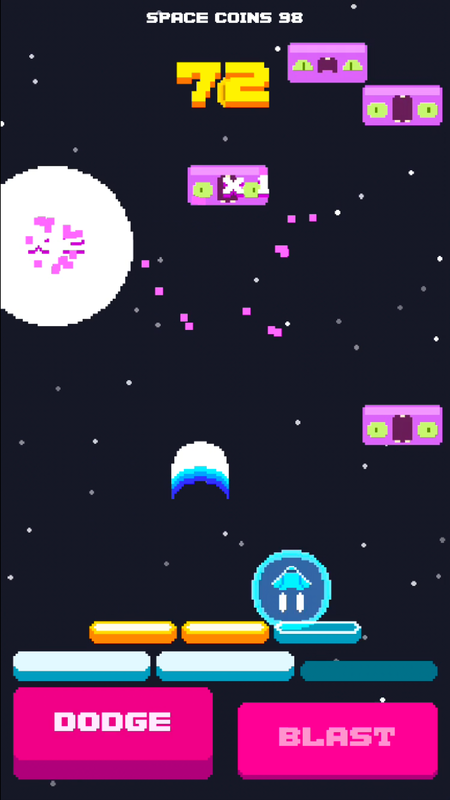 Pick up space coins to unlock new ships and fight your way through the Zones in this strange and endless galaxy. Dodge Blast released for iOS on March 29, 2017. Contact information, more screenshots and other stuff are available in the presskit.